Under the hood, the W2019 is powered by the Snapdragon 845 Mobile Platform. 6GB of RAM is inside along with 128GB/256GB of native storage. On back is a dual camera setup (12MP + 12MP). The primary shooter offers a variable aperture ranging from f/1.5-f/2.4. Other features include OIS, 2X optical zoom, 4K video at 60fps and 1080p slow motion video at 960fps. Keeping the lights on is a 3070mAh battery. There is a fingerprint scanner on the side of the phone, and Android 8.1 Oreo is pre-installed. Color options are Rose Gold and Platinum. The good news, if you live in the states, is that you won't be able to spend all of that money for a form factor that is outdated. The W2019 is going to be offered only by China Unicom. Besides, the only folding Android powered Samsung handset that U.S. consumers care about is the one that the company teased at its Developer Conference last week. It's not a mainstream production phone lol. Think McFly...think. Prices of Galaxy phones increasing is a problem and disappointment. 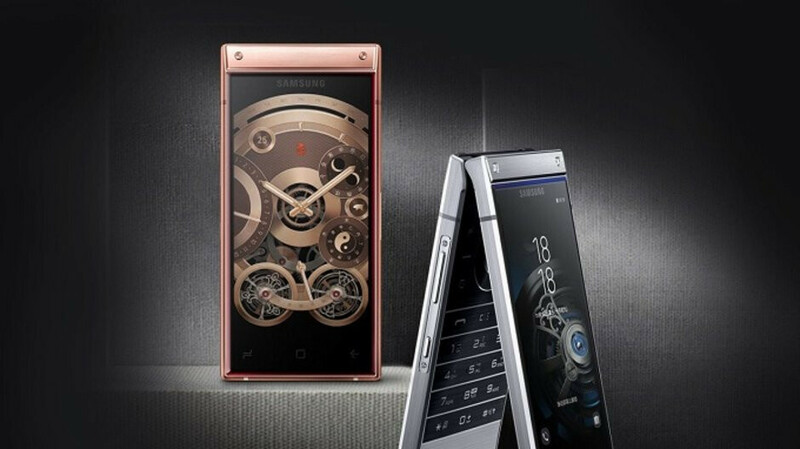 This phone is a luxury, super niche category phone competing with phones like Vertu and what not. They even have free screen and battery replacement twice a year. So I dont think people should focus and bash Samsung for the price of this phone. Y'all are acting like Samsung hasn't been releasing these flip phones for years. You are right , they have been. But not a flip phone with specks like this one. But even i don't see why its so much. I could see it more priced like the note 9 at most. They've been making flagship spec clamshell like this for at least 2 years. I'll buy one if it comes to Merica.